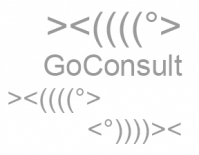 GoConsult was launched in the end of 1999 with Dr. Stephan Gollasch as senior scientist. Dr. Gollasch was involved in the first European ship sampling programme on ballast water, tank sediments and ship hull fouling (1992-1996). His PhD is world-wide the first thesis based on ship sampling. He prepared the first risk assessment study for species invasions in the Baltic Sea for the Nordic Council of Ministers, Copenhagen. Due to the international aspect of biological invasions Dr. Gollasch became a member of several working groups, e.g. International Council for the Exploration of the Sea (ICES), International Maritime Organization (IMO) and the Baltic Marine Biologists (BMB). He was also involved in the EU programme “Introductions with Ships” as co-chairman. In addition to laboratory and desk studies, more than 125 days were spent at sea. As independent consultancy, GoConsult is involved in projects related to biological invasions (e.g. ballast water treatment, ship sampling, risk assessment). Recent contracts include the German Ministries of Transport and Environment, the Federal Agency for Shipping and Hydrography, the International Maritime Organization and the European Commission. We represent Germany in the Ballast Water Working Group of IMO. Since 2005 we are involved in the EU-Project Delivering Alien Invasive Species Inventories for Europe (2005 - 2008). GoConsult contributed to the development of risk assessments and ballast water management scenarios for the European Atlantic coast, North, Baltic, Caspian and Mediterranean Seas. In addition, we are partner in an EU programme on impacts on introduced species in aquaculture (2006 – 2008).